Homemade Gluten Free Spinach Tortillas made from fresh spinach leaves. These vibrant tortillas are perfect for making wraps, burritos and scooping up delicious stews! 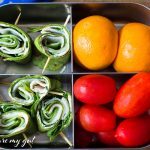 They are great for lunch box turkey roll-ups! Grain free, dairy free, grain free, paleo friendly and nut free. I have been missing wraps for a very long time. As I went into my local grocery store, my daughter and I looked for something quick to grab for lunch, I grabbed my favorite broccolini and chicken Thai salad but kid friendly gluten free options were pretty much non-existent. The enchiladas were made with flour tortillas and so were the wraps. Oh, they would have been perfect for her! She was pretty disappointed. So I decided to make her some homemade spinach tortillas and wrap them up in turkey, cucumbers and cashew cheese. 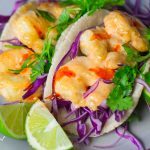 I decided to use my Paleo Tortillas 2.0 as a base for this recipe. 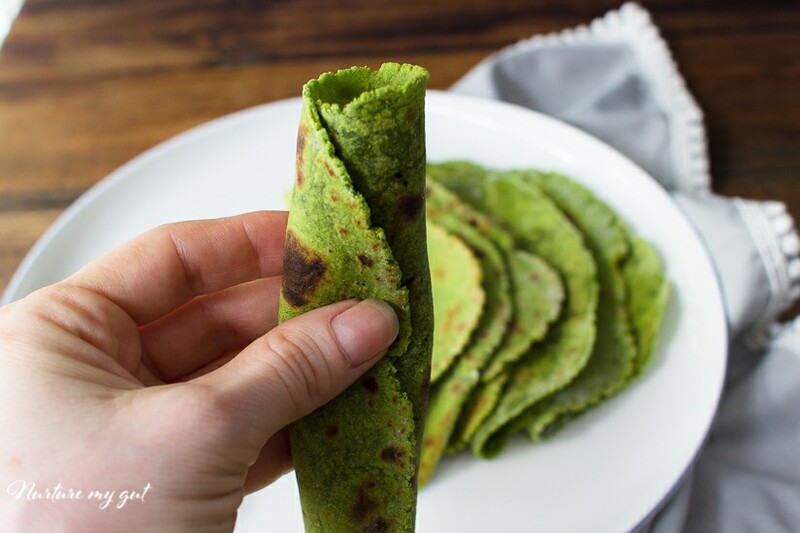 These homemade gluten free spinach tortillas came out wonderful! I was worried that they would get hard once they were at room temperature but truth be told, the spinach did the trick at keeping these tortillas soft and pliable. 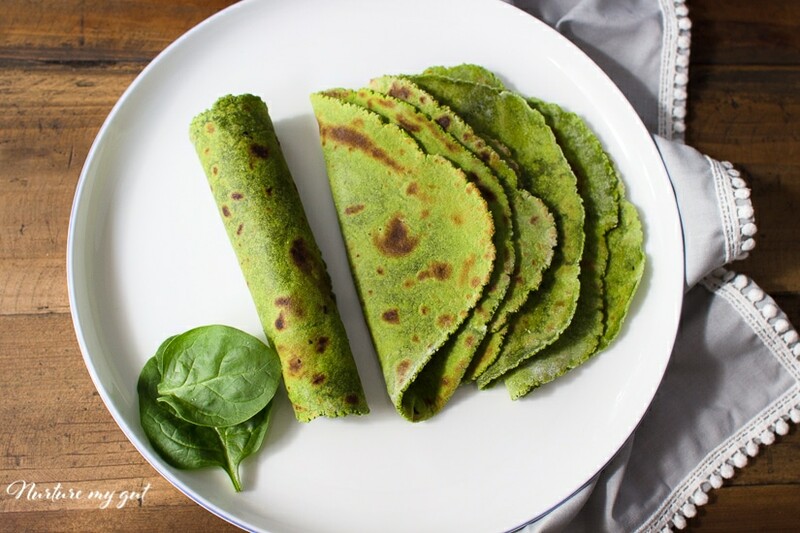 My daughter absolutely loves these gluten free spinach tortillas and the wraps are a huge win! Her friends also taste tested the wraps and gave them a thumbs up! 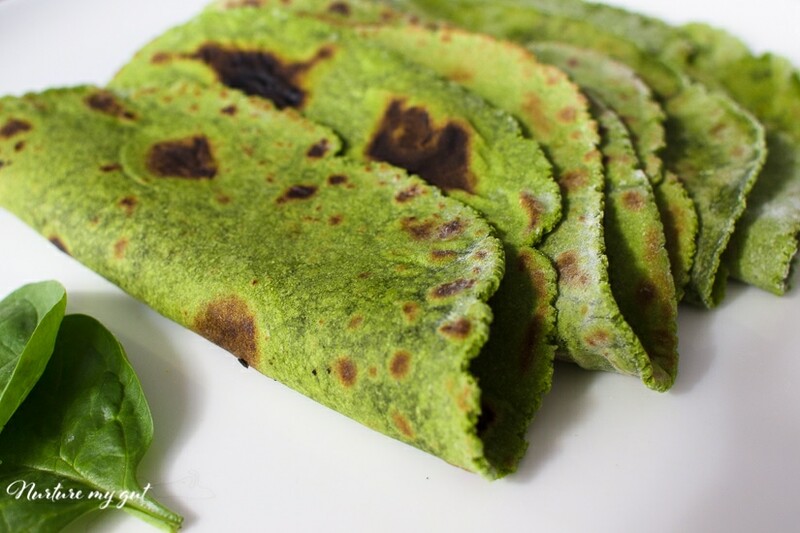 I know you will love these homemade gluten free spinach tortillas as much as we do! 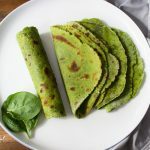 I am very excited about these homemade gluten free spinach tortillas because these allow me to create one more healthy and delicious gluten free option to pack for her lunch box! Since my kids were in pre-school, my husband and I decided we would pack our kids lunch for school. Their regular lunches include gluten free black bean and cheese burritos, gluten free chicken tenders, gluten free turkey sandwiches and homemade chili. We are always looking for new healthy gluten free recipes to add to our kids lunch box and this one fits the bill! 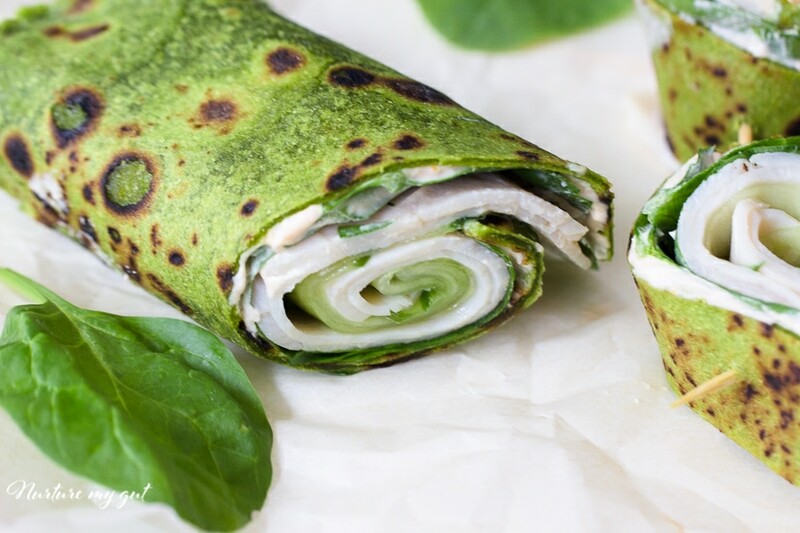 I can now add Homemade Gluten Free Spinach Wraps! Yay! 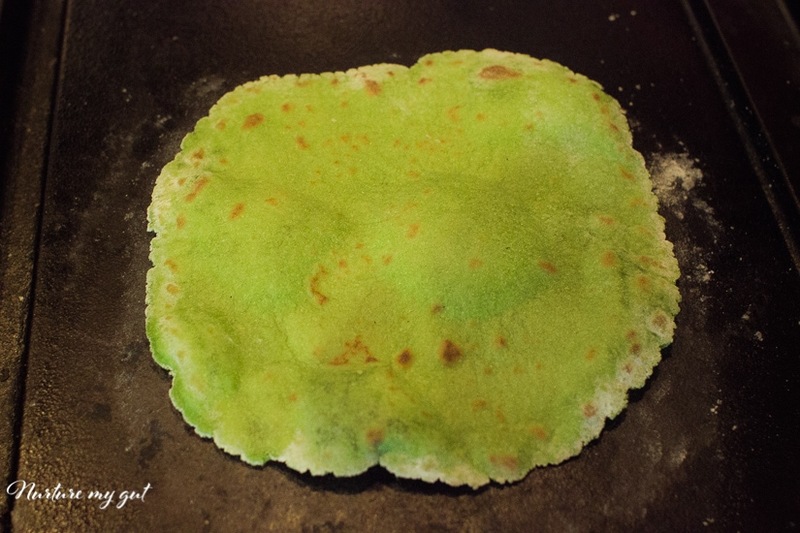 Below, I will show you how you can easily make these homemade gluten free spinach tortillas! extra large pizza spatula–makes lifting tortillas onto griddle a cinch! First, gather your ingredients above. Next, make the spinach mixture. In a small saucepan, heat your spinach and warm water. Stir until spinach is wilted, about 2-3 minutes. Then, add spinach and warm water to a blender and blend until completely smooth, about 1 minute. I used a Vitamix so my mixture was completely creamy. If you have small bits, strain your spinach mixture through a colander. You want to measure out exactly 1 cup of liquid. 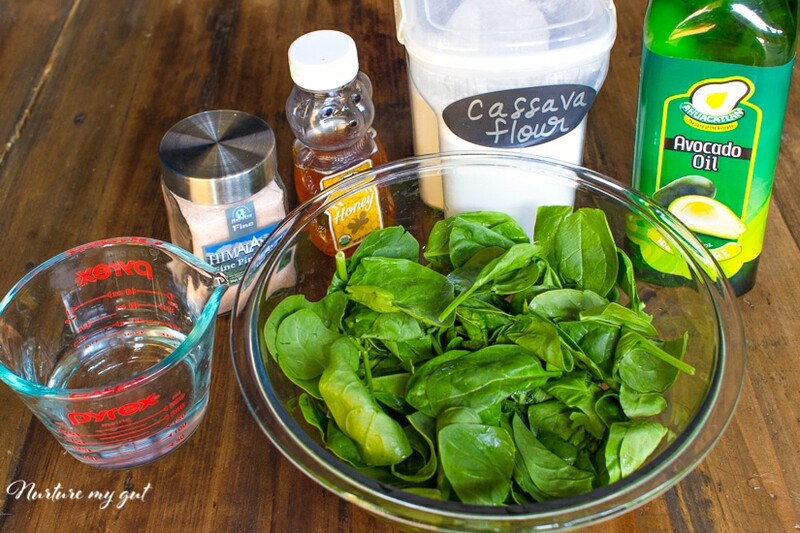 Add your honey and oil to spinach mixture and stir. 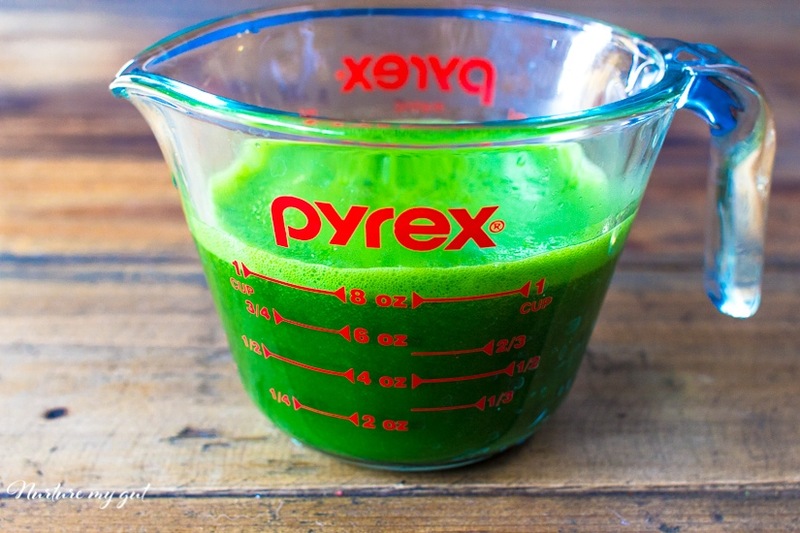 You will now have this bright green spinach mixture! To make your dough, whisk together your cassava flour and salt. Slowly add in your spinach mixture. If your dough is too wet, add more cassava flour, if it is too dry, slowly add warm water. I mixed mine in a stand mixer but you can use a danish dough whisk or simply mix and knead dough by hand. 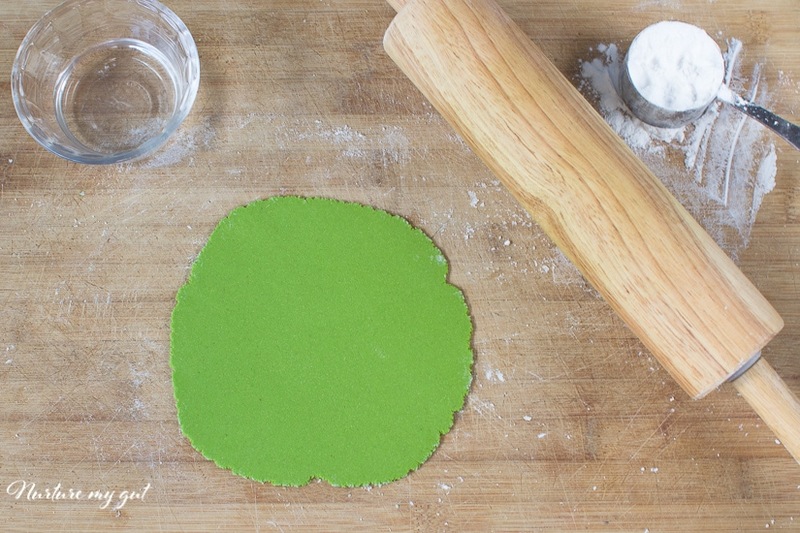 Either way will give you the same result, a beautiful gluten free spinach dough. Next, divide your dough into 12 balls and put into a ziplock bag so that the dough does not dry out. This dough works best when it is warm. In the picture below, you will see that I have a my area set up with tapioca flour and a little bowl with warm water. This way, I can re-hydrate the dough with a few drops of water if it dries out. This is a good time to pre-heat your skillet to medium heat, but keep it toward the low side since the tortilla will burn and stick to the skillet if it is too hot. I usually put it on medium heat for the first few tortillas and then lower the flame a bit once I am halfway through. Cast iron gets super hot! Roll out your dough into a 6 inch tortilla. If your edges are cracking too much, your dough is too dry. Just dip your fingers in warm water and re-hydrate your dough. Be sure to generously dust your rolling pin and surface with tapioca flour so the dough does not stick to your surface. Once your tortilla is rolled out, lift it carefully with a large pizza spatula and place it on your pre-heated cast iron skillet. 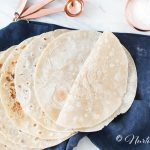 These tortillas cook pretty fast so keep an eye on them! They need only about 15-30 seconds per side if using cast iron. After you flip your tortilla, press down with your spatula, this will help steam the underside and create air bubbles. Make sure you have brown spots on both sides. Place your Homemade Gluten Free Spinach Tortillas in a tortilla warmer to allow them to steam and soften. This is a very important part of the process in making homemade gluten free spinach tortillas. Do not skip this step! As these tortillas reach room temperature, they will stay nice and soft thanks to the added spinach. These tortillas are perfect for making a Gluten Free Turkey and Cucumber Spinach Wrap-recipe coming soon to the blog! 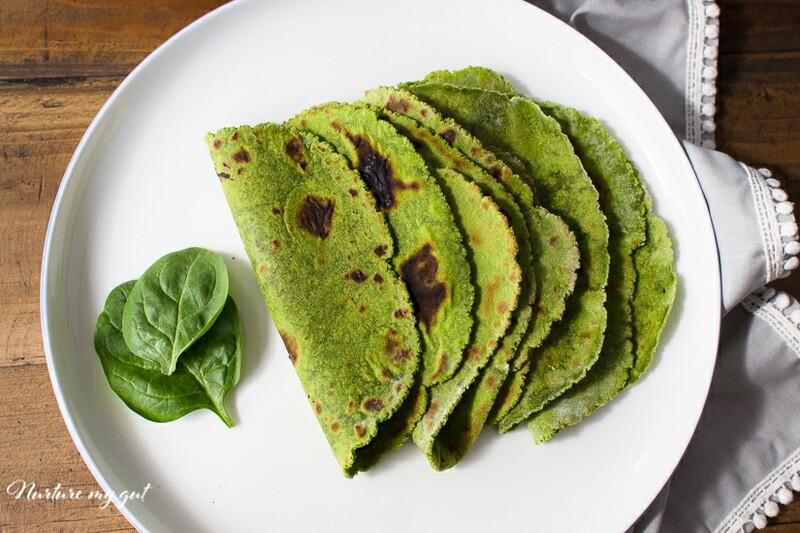 If you loved this gluten free spinach tortilla, then be sure to check out my Gluten Free Tortilla Recipe that is similar to Indian roti and tastes just like my Grandmas homemade flour tortillas! 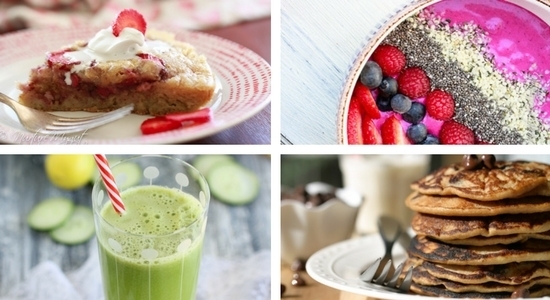 For more delicious and healthy gluten free recipes, be sure to subscribe below. You will get my Delicious Paleo Breakfast E-Book as my gift to you. In a small saucepan, simmer together spinach and water. Cook 2-3 minutes or until wilted. Add to a blender and blend until silky smooth. You should have exactly 1 cup spinach. Strain if you have any small bits. Add honey and oil to spinach mixture, stir. You can now heat your cast iron skillet to medium low heat. Take a ball of dough and roll it into a disk. Dust your surface with tapioca flour and roll dough out to 6 inches wide. Be sure to continue dusting with flour throughout if needed to prevent dough from sticking. Use a pizza spatula to lift tortillas onto skillet since these tortillas are very delicate. Place your tortilla on the skillet and flip once bubbles have formed, about 15-30 seconds. Flip again and once brown spots have coated both sides, place tortilla in a tortilla warmer or aluminum foil to steam. Repeat with remaining tortillas. Serve warm or use at room temperature as wraps. Enjoy! It is best to use a pizza spatula to lift tortillas onto skillet. If tortillas are tearing, roll tortillas out a little thicker. If tortillas start to stick to your skillet, lower the flame, it is too hot. Replace honey with alternative sweetener to make these vegan-coconut nectar, date syrup or maple syrup. Your dough should be soft and pliable like play dough, if your dough is too hard, slowly add more hot water. What if I don’t have a tortilla warmer? Can the oven substitute? If you do not have a tortilla warmer you can make one with a towel covered in aluminum foil. It will be necessary to keep them warm. These turned out GREAT. I found this recipe from Pinterest, and it was a win! I’m so impressed with this. I do not have a tortilla warmer, so I used a folded dishtowel to trap in the heat and steam, inserting each cooked tortilla on top of the previous one and folding over the top layer of the towel until the next tortilla was ready. That method worked just fine. I’m considering buying a tortilla press as the rolling process was by far the most arduous. And cassava flour! What new paleo miracle is this? A pricey one, to be sure, but it’s pretty awesome. Thank you for this recipe. It might just be a game changer. 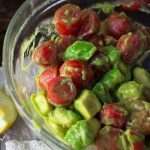 Can I substitute any gluten for flour for cassava flour? I have so many different linds in my cupboard I would like to use one of those instead of buying yet another type! Thank you, these look amazing!! This looks amazing! How long do these keep in the refrigerator? 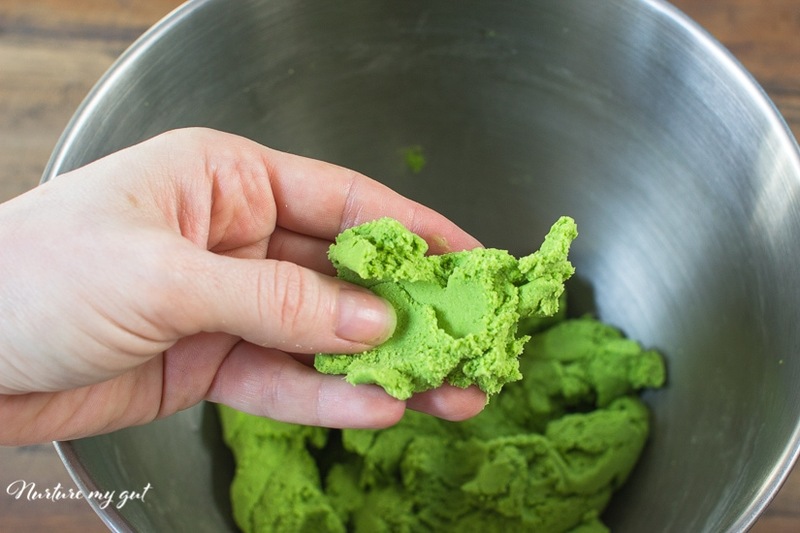 Have you made larger batches and frozen them before? The dough or tortillas keep in the fridge for 3-4 days. I have frozen the dough before and it freezes well. Hi there! This looks amazing – can’t wait to try it out!! I read you do not reccomend any alternative flours to the cassava? Also, how do you freeze the dough? Mason jar, ziplock… thank you!